J. 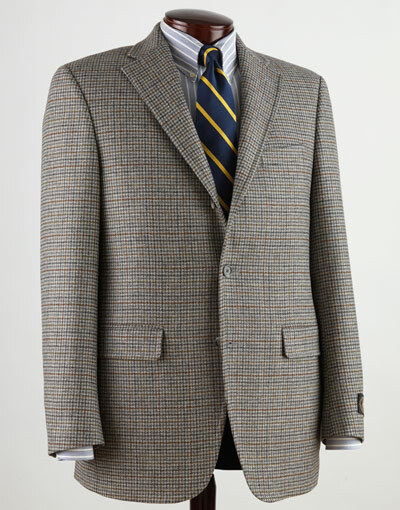 Press crafts this Robert Noble glen plaid sportcoat, a wonderful choice for the holiday season. Featuring a unique charcoal grey wool that features navy and brown detailing when seen up close, this sportcoat is a warm option that would pair handsomely with any sweater and shirt. Available online now from J. Press. This entry was posted in Sportcoats, Tops and tagged Glen Plaid, Robert Noble. Bookmark the permalink.